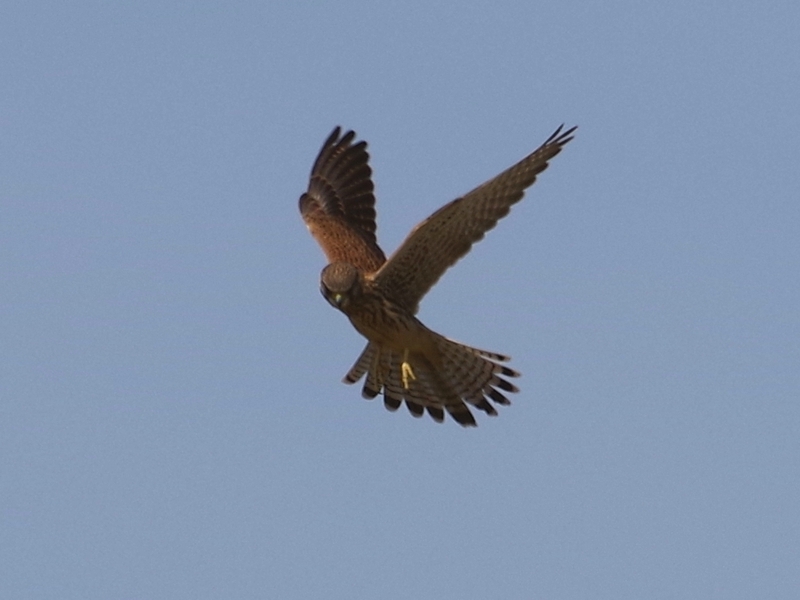 The female Kestrel is often seen hunting over the north edge of Kensington Gardens, about where the pet cemetery is. 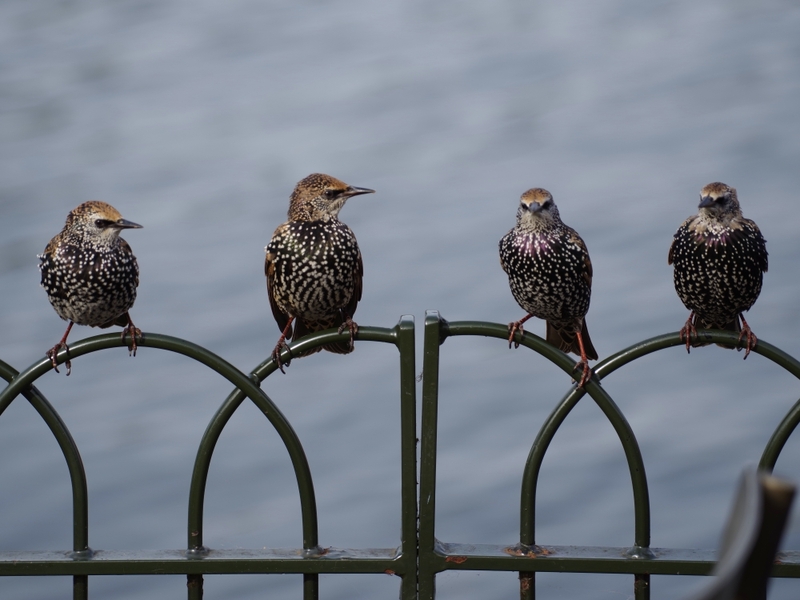 Probably this secluded enclosure is full of mice. 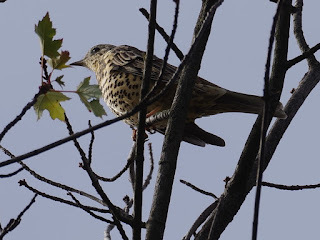 ... while a solitary Mistle Thrush on a dead branch at the top of the adjacent maple waited for some others to arrive so that they could stage a mass descent on the rowan. 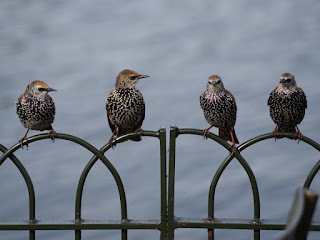 Starlings lined up on the railings at the Lido restaurant waiting for someone to leave a table. 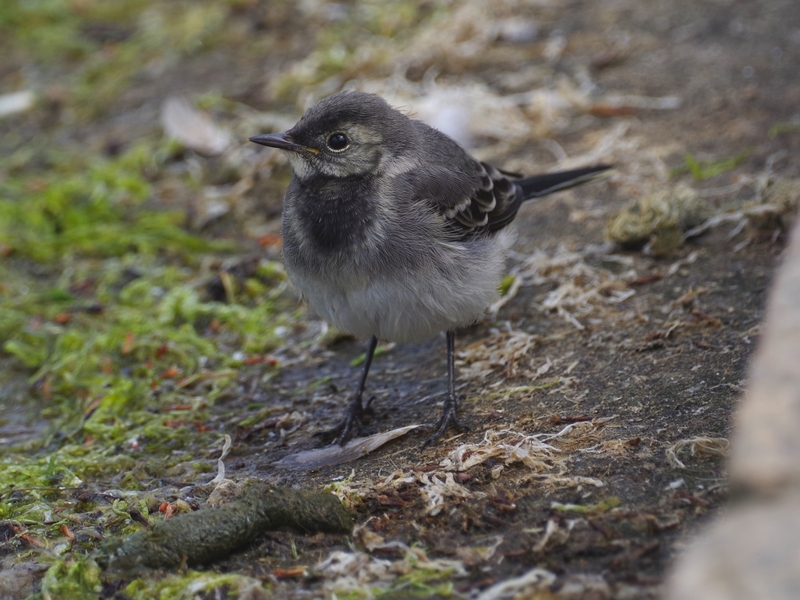 On the edge of the terrace, a young Pied Wagtail looked for insects. Wrens usually flee when you find them out in the open and point a camera at them, but this one was unusually calm. 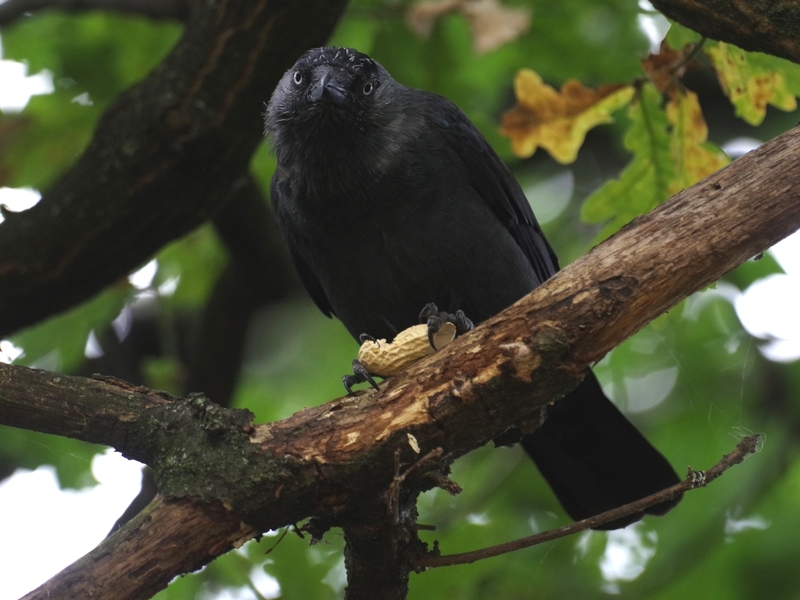 A Jackdaw looked down from a branch where it was demolishing a peanut. 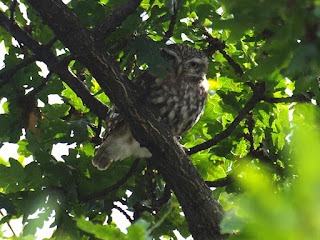 The Little Owl in Hyde Park was on what is currently his favourite branch. 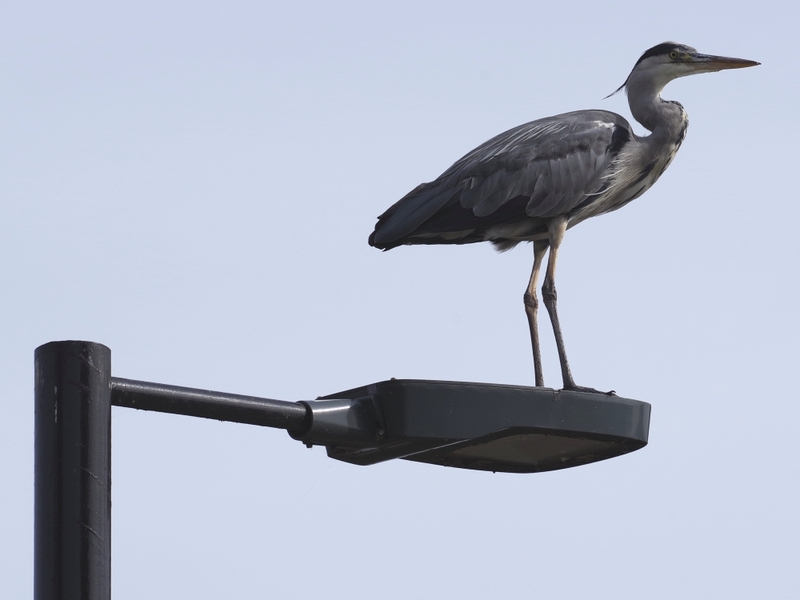 But you can't rely on him perching there in the long term. 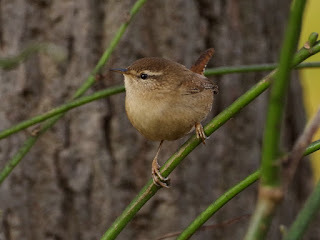 Just as you think an owl has established a habit, it gets tired of the branch, moves to another, and never returns. A Grey Heron stood on a lamp post on the bridge. 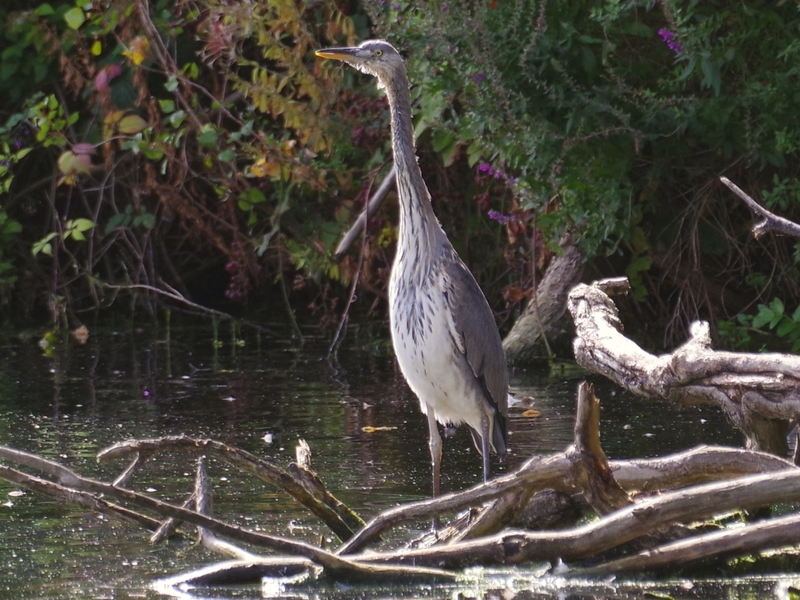 ... and the other was beside the Long Water, looking very long and thin. You wouldn't think they are practically identical. 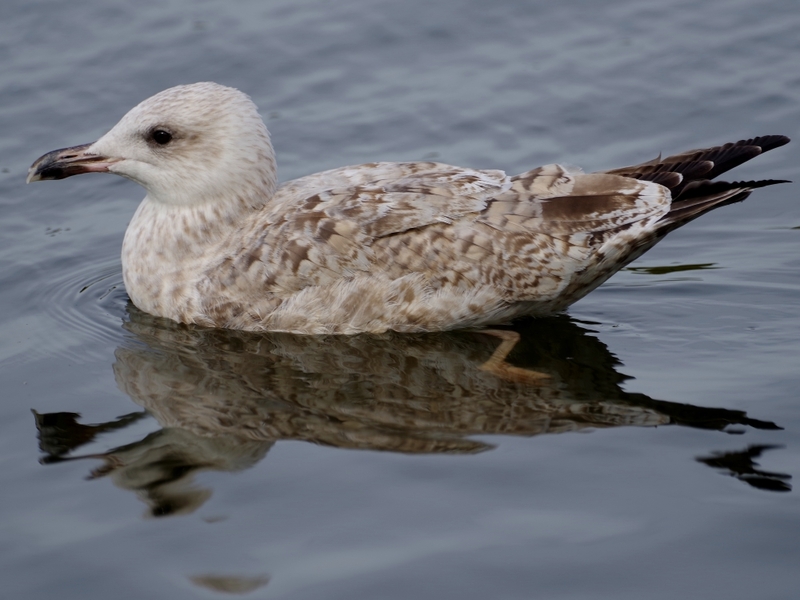 ... are fairly easy to distinguish from the young Herring Gulls, at least when the two are side by side. The Lesser Black-Backs are darker and slightly smaller, and have a thinner, all-black bill. But when you see one on its own, it can be hard to be sure, and the only way you can be certain is to wait till it flies away and look at the trailing edge of its wings. 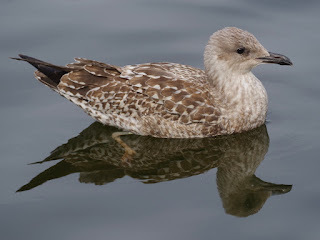 Young Lesser Black-Backs have uniformly dark flight feathers, and on Herring Gulls the inner primaries are visibly paler. 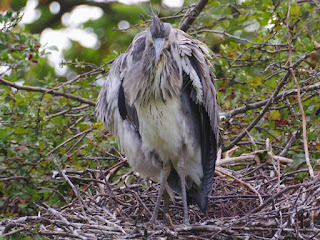 One of the Great Crested Grebe chicks from the island gave its father a very hard time. You can see the father's growing exasperation. 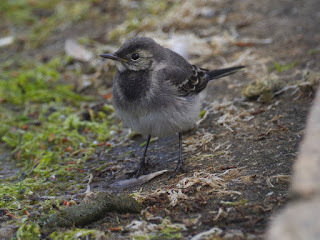 In fact the chicks are very well fed on the abundant small fish in the lake. 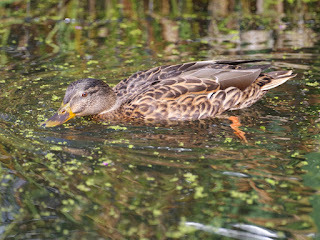 Duckweed is indeed palatable to ducks, and Mallards are very fond of it. 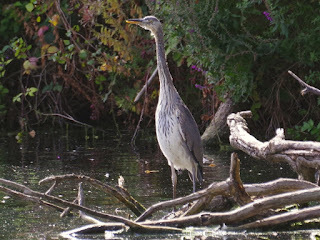 When the Italian Garden ponds were thickly carpeted with the plant, it was too thick for them to swim in, but now that most of the weed has been dredged out they are in the ponds hoovering up the remains. 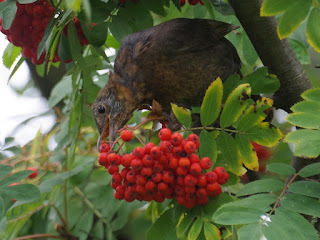 Do Grebes raise their crests to signal stress or alarm like Hoopoes do? That adult Grebe is walking a fine line between getting the pestering youngster off his hair, and leaving him completely behind by charging full steam ahead. He appears to carefully get away without leaving the chick behind? 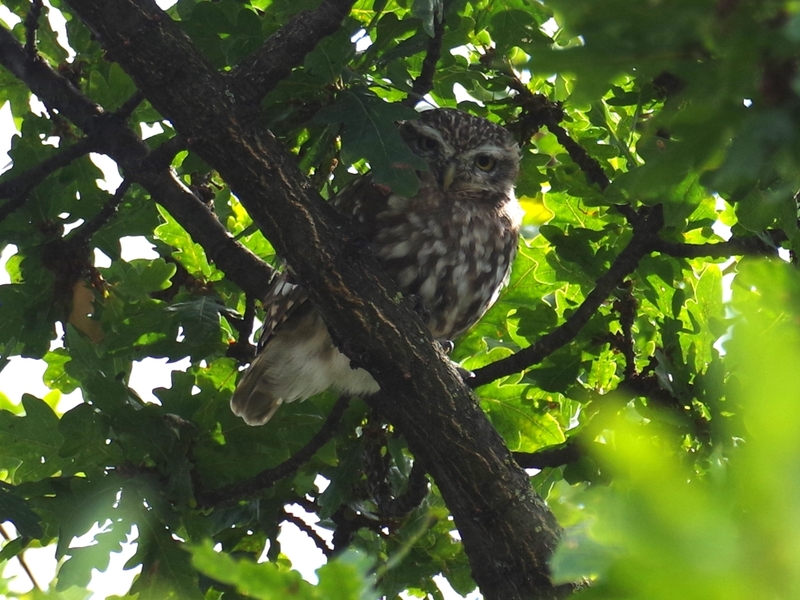 I see that the Little Owl continues to use the leaf camouflage. 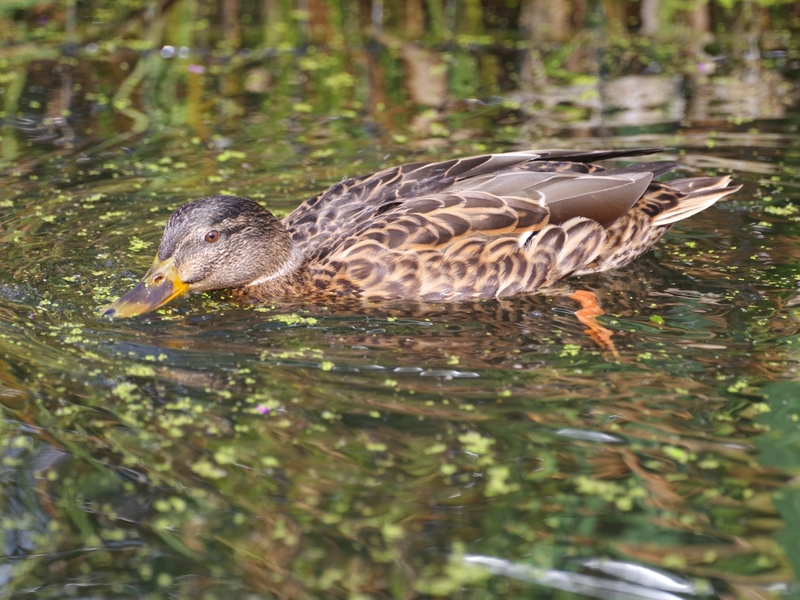 Grebes raise the ruff round their neck, with head and top crest down, when in extreme threatening posture. The father wouldn't do that when shooing off the chick, though. He would just run at it. I wish that leaf would fall off. If you go any farther to the right to avoid it, other leaves get even more in the way.